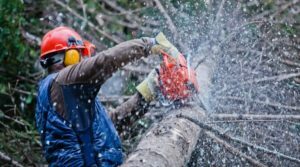 Chainsaws are capable of making your property maintenance jobs much easier- and due to the ease of their use and care, are a popular tool to have around. Even if you keep your saw well kept and stored correctly when not in use, there may come a time when it simply won’t start. This can be incredibly frustrating, especially if you have a lot of work you planned on getting complete, or you are starting a new chainsaw. Luckily, if your saw is a gas-powered model, troubleshooting the problem is most likely not a difficult task. 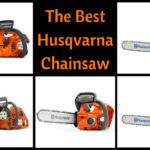 Chainsaws are a simple tool with simple parts and are easy to access overall. 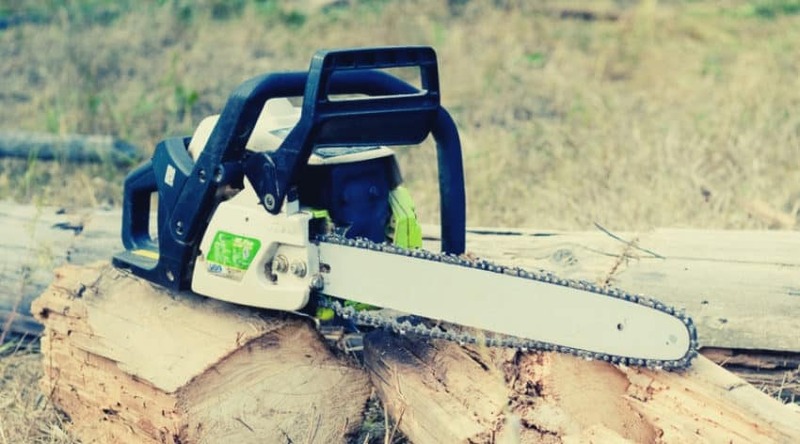 If you have a basic knowledge of a 2 cycle engine, or the ability to learn about one, then generally you can solve the problem of a chainsaw not starting fairly easily. 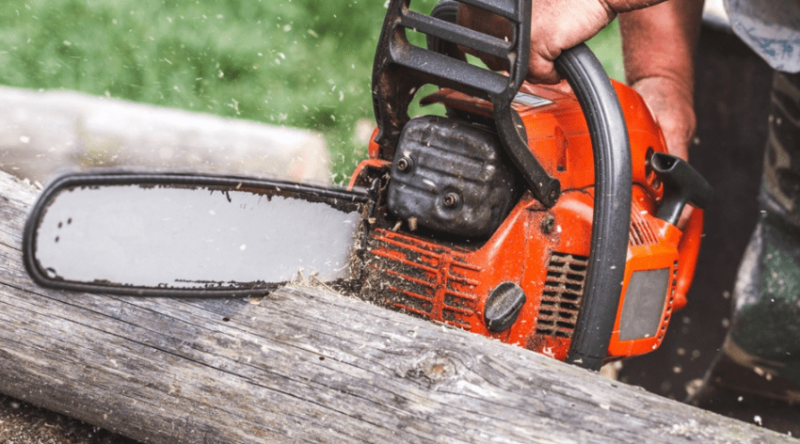 To start, it’s important to note the differences between an electric and gas-powered chainsaw engine. Electric powered saws are either corded or battery powered by a rechargeable battery. They are much easier to maintain and have some very powerful models that rival many of the smaller gas-powered versions on the current market. These are very popular with homeowners who need light to moderate jobs done on a regular basis, as well as the occasional heavy job. Gas-powered models are run by a 2-cycle engine which can provide variable strengths and support larger bar and chain lengths than an electric choice. These are the choices for regular, more consistent work on your own property, or for heavy, more professional jobs. 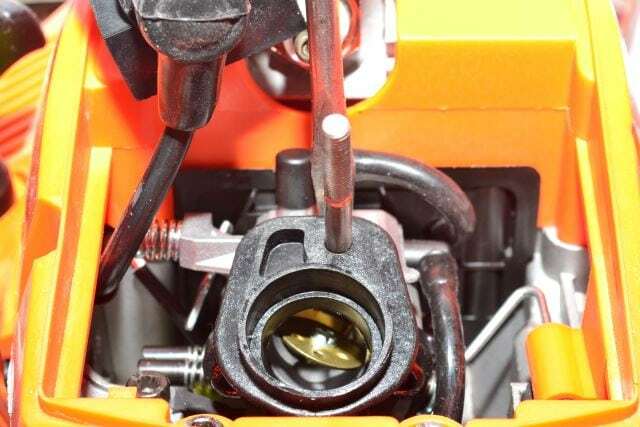 When your saw won’t start, it could be for a few differing reasons. Be sure to always keep your saw in good working order to avoid burning out the motor- a problem that can only be solved by replacing the entire chainsaw. However, if the saw in question is an electric model, then your solution may be that much more simple to solve. An electric chainsaw is either corded or cordless. Obviously, if your corded saw won’t fire up, you need to first check to see it is properly plugged in both at the outlet, and at the connection between the saw and, extension cord. If both are snug, be sure your outlet is providing power and you have an extension cord that has not been compromised in some manner. If your saw is cordless, you need to check to see if your battery is actually charged, or is charging correctly. Rechargeable batteries can begin to lose power over time and need to be replaced. The charger itself can fail to work as well. First, make sure you have checked both the batteries and charger to ensure they are working and charging as they should. If your power sources are working as they should, your problem lies within the saw itself. First, you want to check your fuses. Check your owner manual to see where the fuses are and how accessible they are. You also will want to check your starter switch. 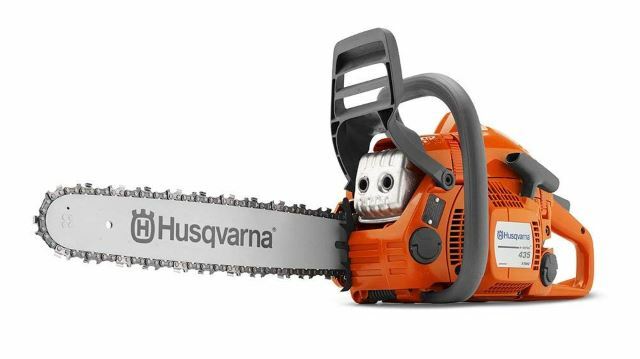 Electric chainsaws are not quite as easy to work with internally, and this can become a bit more complicated in nature. Often if your electric saw problem is not easily solved, it is much less expensive to simply replace the unit rather than pay somebody to try and fix it. Many times when a chainsaw is not starting when hot isn’t actually due to heat, but rather something internally not working as it should. 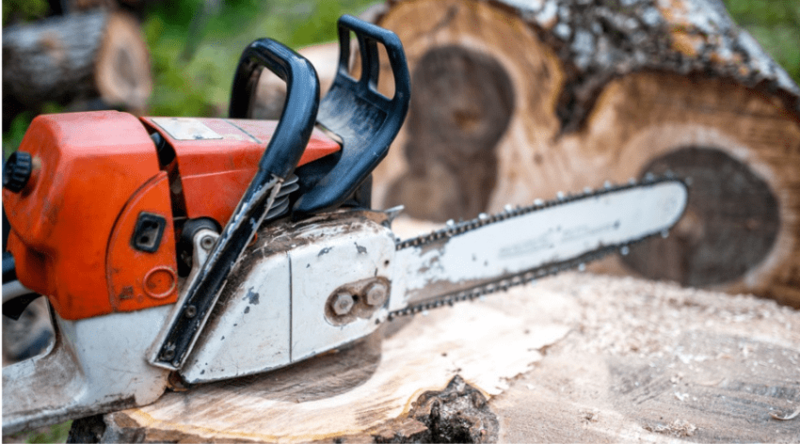 For many of the same reasons your chainsaw may not idle and begins losing power are the very reasons why it can’t start- or start, sputter, and die immediately after turning over. 2 cycle engines are air cooled and depend upon the flow of air through the engine. If this filter becomes clogged, your engine may not be able to turn over, or if it does, may quickly die. Over time dirt and oil coats the filter, which is easily cleaned with a little soap and water. 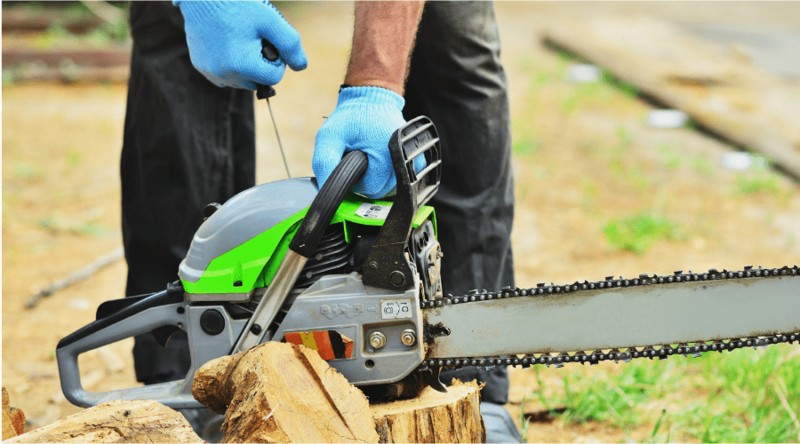 Make sure you never put straight gas in your chainsaw and always use the gas and oil ratio suggested by the chainsaw manufacturer. If you have used only gas, you most likely will seize up the engine, and render it useless. Gas mixtures that have been mixed wrong, or have been sitting for long periods of time, can create issues that may keep your saw from starting. So, always be sure to use gas mixtures that are within a month old, and empty your tank if it will be in storage for long periods of time. 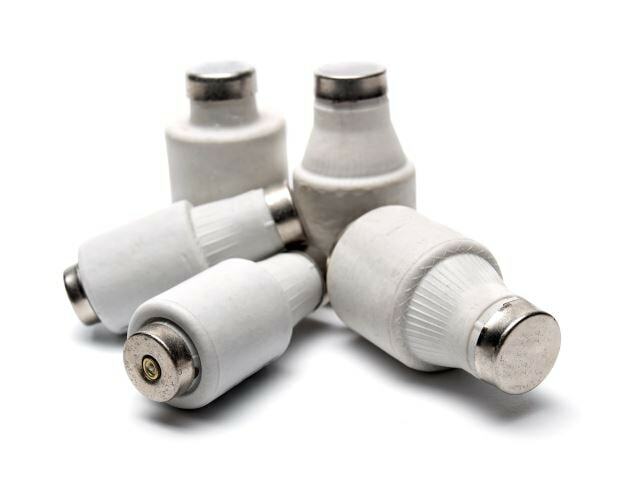 Over time a spark plug can get gummed up by old gas, or be coated in carbon through use. You can remove your spark plug easily to clean and inspect for damage. If the porcelain is cracked, you will need to replace it. You also need to check the gap between what is considered acceptable. Keeping a few extra spark plugs around is never a bad idea anyway as they are inexpensive and helpful for a quick fix on your 2-cycle engine products. It’s important to note here that this is actually the number one reason why a chainsaw won’t start when hot. Gas flow from bad gas or restriction with the gas flow are also common when you have to wait for the saw to cool down to complete a job. Bad fuel can clog up your carburetor and keep it from starting, or run after initially firing up. You can attempt to clean it out with a carburetor cleaner, and if that doesn’t work, and remove it to clean by hand. You also can fairly easily replace it if that is easier overall as the parts are very budget friendly. The ignition coil is what helps fire your engine up by sending voltage to the spark plug to ensure the engine runs. If you know the spark plug is good, you can test the coil using a tester. If it comes back bad, then you can replace it on your own with just a little research. The recoil starter is responsible for turning over the engine. If it is defective or broken, the engine can’t turn over and start. You can remove the starter and see if it is functioning properly by determining if the engine turns when you pull the starter rope. When released the rope should recoil back into the pulley. If the rope does not pull, or recoil, then the pulley, could be the culprit as well. Chances are, if your chainsaw won’t start, you can problem shoot on your own until a solution has been found. Electric saws are very simple to figure out or fairly inexpensive to replace overall. 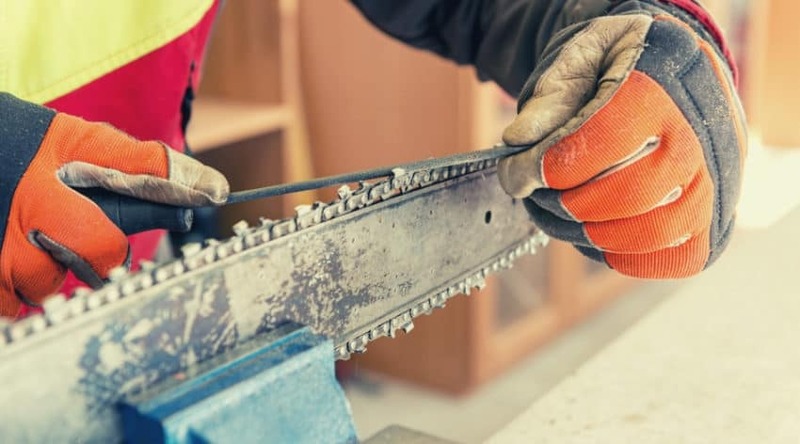 Gas saws may be slightly more complicated but are generally a tool that anyone can begin to learn the parts of in order to maintain on their own. Hopefully, the above suggestions are working for you, but if not, you may want to consider taking your saw in to be serviced, especially if they are a gas model since they are a much larger investment overall. If you have any questions concerning the above suggestions or helpful hints to share, please let us know below. And, as always, please share!